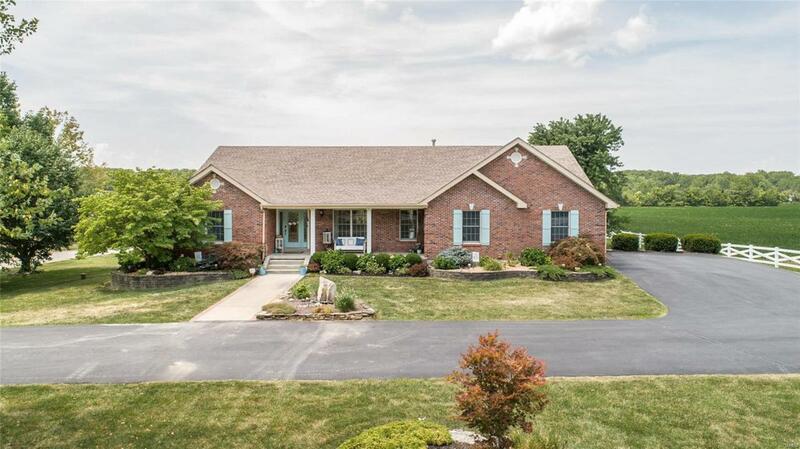 STUNNING peaceful property with the convenience of being very close to I-64 and I-70! 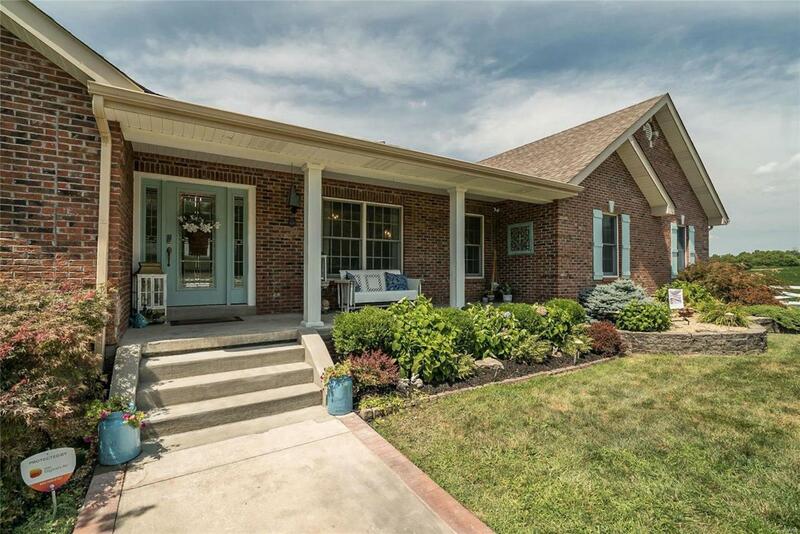 Completely renovated top to bottom open floor plan home. Large bedrooms. Two full custom kitchens with granite/quartz counters, and high end appliances. Beautiful hardwood and natural stone floors. Master bath with heated quartzite floors, and marble shower with body jets. Walk out basement 2700 sq ft with 80% finished space. 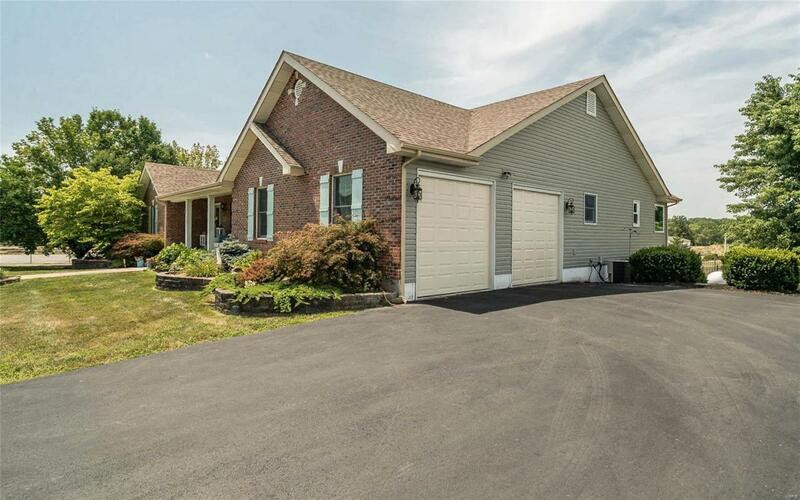 Basement has sleeping room, bathroom, living areas, beautiful FULL kitchen, and could easily be used for an in-law suite. Tons of storage throughout the whole house, and safe room. In ground heated saltwater pool. Unique stamped concrete deck helps showcase the panoramic country views. Huge 40x80 heated outbuilding to house your business or your hobbies. Wentzville schools Duello/Frontier/Liberty. 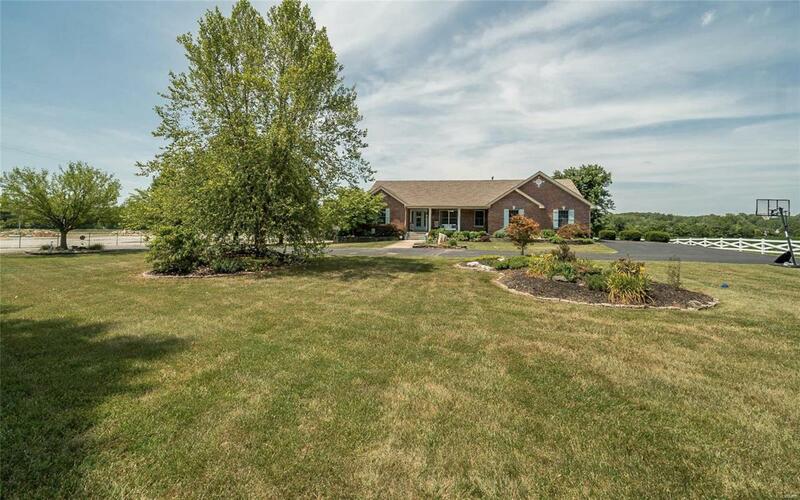 Option to purchase additional acreage East of the house. The concrete bins and material in the back of the lot will be moved unless buyer wants to negotiate for them to stay.